We bring our studio to you! Portraits will be taken by experienced, trained professionals. Not the latest minimum-wage teenager hired yesterday at a big department store. No waiting in line with energetic children. Children are more at ease in their own home than an unfamiliar studio with scary-looking equipment. We interact with your kids while we set up our lights, developing a bond of trust that shines through when they pose for portraits. We know how to get them involved, which keeps them in a good mood. Multiple wardrobe choices are close at hand, and changing clothes is safe and convenient. View your images in a private online gallery. Order prints at your convenience, with no pressure to make on-the-spot buying decisions. 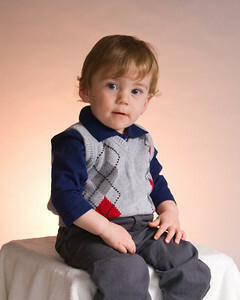 This package includes the portrait sitting (up to one hour) and $100 in prints per our price list. The package cost is payable at the time of your photo session. Online proofs are made available within four days, and prints will be delivered within 2 weeks of ordering. Please contact us with any questions or to schedule a sitting.